Written and directed by The Martian screenwriter (and Daredevil showrunner) Drew Goddard, Bad Times at the El Royale centers on seven strangers who meet at a rundown Lake Tahoe hotel called the El Royale. Over the course of one night, each individual has their respective shot to make things right, until everything pretty much goes south! Click on the media bar to hear Jon Hamm and Dakota Johnson discuss if they have ever encountered an intriguing hotel such as El Royale (Johnson gives a nice little plug for the Madonna Inn!). 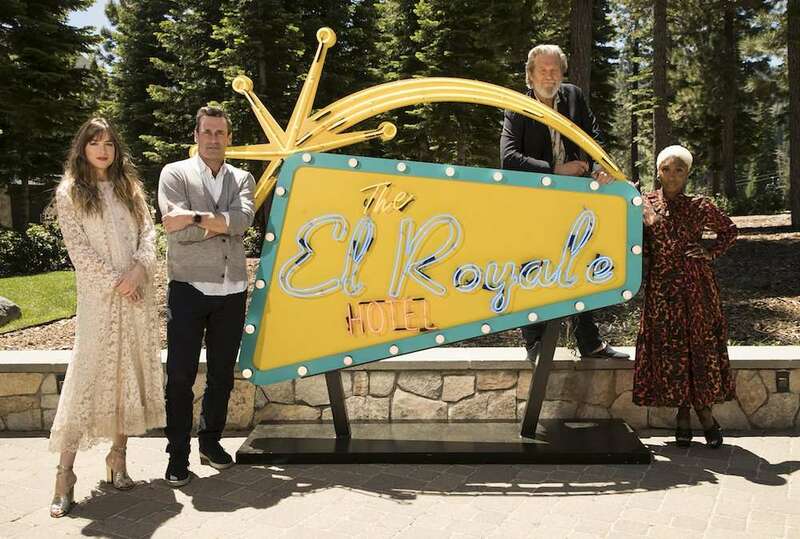 Bad Times at the El Royale, co-starring Jeff Bridges, opens nationwide October 12.